Brief Candle Press, 9780989441032, 206pp. As his world erupts in open warfare, Robert Harris' Quaker faith guides him away from the use of violence for any purpose, even if the war could lead to the loss of his freedom to practice that faith. Finding a balancing point between this existential threat and the commands of his inner light, while struggling against the chance effects of war, Robert must also face the challenge of an implacable foe, determined to destroy him at any cost. He relies on the quiet guidance of his conscience to keep his family safe, and lead them to freedom. The Light is the standalone New-Jersey novel in the Tales From a Revolution series, in which each volume explores how the American War of Independence unfolds across a different colony. 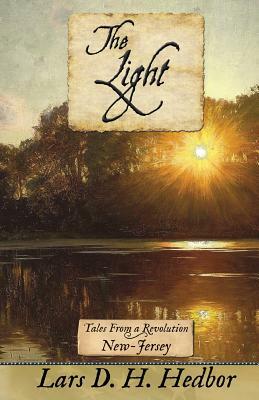 If you like stories such as The Crucible, or you've ever wondered how the Revolution affected even those who refused to take part directly, you'll love The Light. Read The Light today, and see how some of the most difficult battles during the American Revolution took place within mens' hearts.